Our specialist HubSpot developers know how to take HubSpot to it's limits - we get HubSpot to do things you didn't think was possible on HubSpot and we still keep it easy for you to use. Our developers not only develop on HubSpot they actively use HubSpot to create advanced marketing campaigns. That's how they can take HubSpot to it's limits and still make it easy for you to use what they develop. Our designers know how to create beautiful designs which are easy to implement and manage on HubSpot. The visual template editor in HubSpot is really great and allows people who aren't skilled in HTML & CSS to create & manage their own page and email templates which scale well for mobile. This flexibility is achieved through a grid system and your design must work with this grid to be easy to implement and manage. Our designers know how to create beautiful designs which plug right into the HubSpot visual template designer. 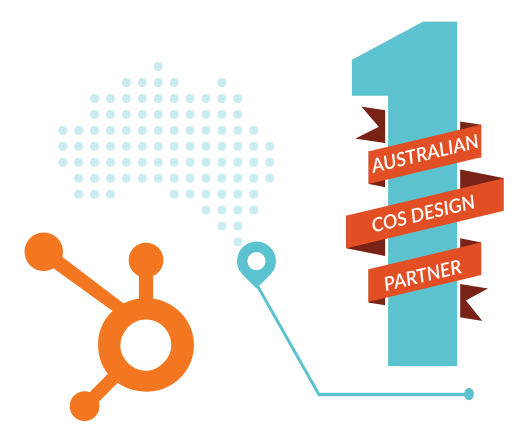 More Business Online is the first agency in Australia to become a HubSpot COS Design Partner. There are limitations to what you can do in HubSpot's visual template designer before you have to resort to code. One way HubSpot allows the template designer to be extended is through reusable custom modules. We create custom modules that you can reuse on all your pages so you don't have to worry about creating or editing code. Custom modules can also be created for email templates, allowing complicated email templates to be created and managed easily using the visual template designer. Good custom modules also allow relatively unskilled workers to create complicated web pages and emails without the need of your support. You can save a lot of money on your weekly email if it can be produced by your cheaper staff. We create your initial template along with the custom modules you need, then you can reuse the custom modules anywhere else you need them. The custom modules we develop are available in HubSpots template designer for you to add to any of your templates through drag and drop. Editing a template containing custom modules is easy. 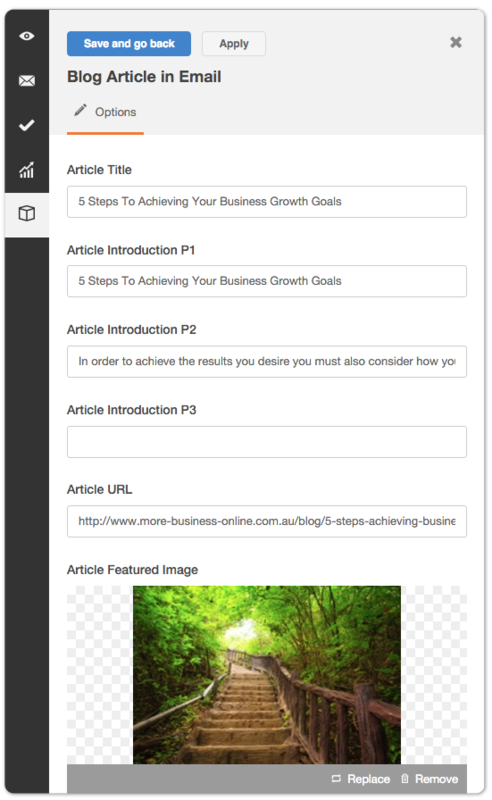 Our custom modules use simple form fields to collect your content allowing you to style complex content with ease. Custom modules can contain options for various layouts to give you even more control over the style of your content. You no longer need to spend hours in the rich text editor or editing raw HTML to style your content the way you want it, It's all done for you in the custom module. 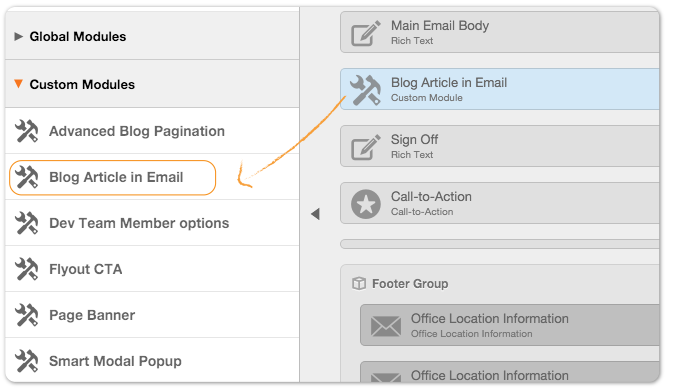 This is one way we make HubSpot easier for you to use. Talk to us to find out what else we can do to make your life with HubSpot easier. "Get a no obligation assessment of your website"